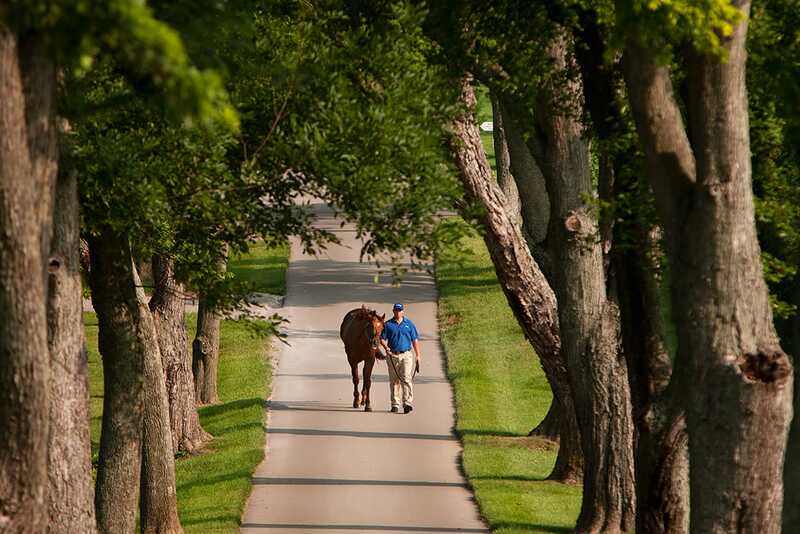 Take a tour of Jonabell Farm in Lexington, Kentucky, one of the leading horse farms in the USA. It is the American headquarters of Sheikh Mohammed’s global Godolphin operation and home to the Darley thoroughbred stallions in the United States. 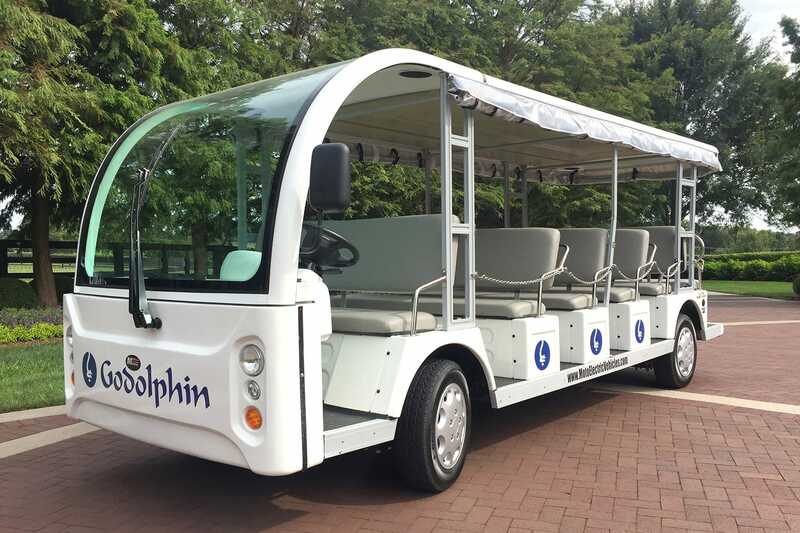 The tour will begin at the farm office where you will learn about the history of Jonabell Farm as well as the scope of Godolphin, the international thoroughbred breeding and racing operation founded by Sheikh Mohammed, ruler of Dubai. We’ll then head outside to see the stallions, including Kentucky Derby winners Nyquist, Animal Kingdom and Street Sense, plus multiple G1 winner Frosted and leading sires Medaglia d’Oro and Bernardini. Next we will walk through the breeding shed and visit the grave of 1978 Triple Crown winner Affirmed before we climb aboard our electric shuttle for a drive through the rest of the farm and a chance to meet broodmares, foals and weanlings. The tour lasts around 90 minutes. Frosted travels to Australia each fall for the southern hemisphere breeding season and will not be present during tours from July to December. Also we are unable to allow feeding or petting of the stallions during the tour. Tours of Jonabell Farm can be booked through Horse Country Inc. by clicking the button below or by calling 859-963-1004. Tours are offered March through October - please check the Horse Country website for dates and availability. Additional dates and times, including weekend tours, may be available upon request for large groups. Please contact Horse Country at info@visithorsecountry.com or 859-963-1004 with group tour requests. We are happy to provide complimentary tours for schools and educational groups – please contact us at hello@darleyamerica.com or 859-255-8537 for more information. 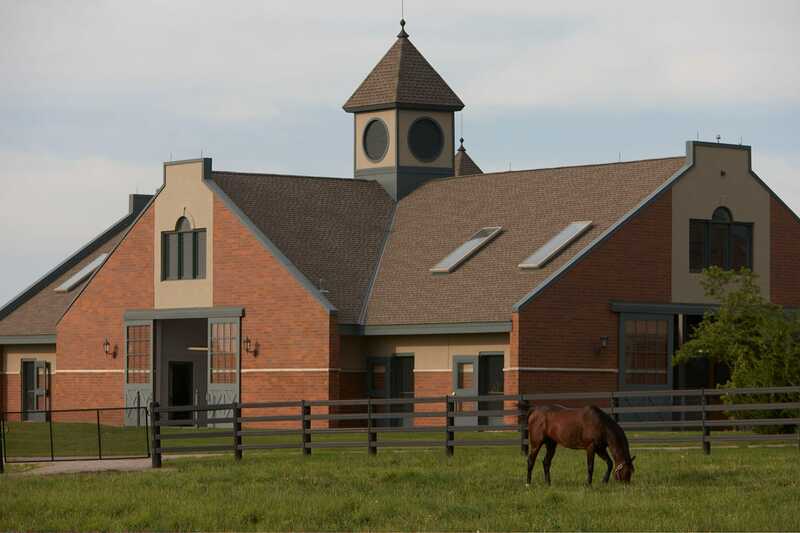 Jonabell Farm is happy to open its gates to horseracing fans and enthusiasts, but please remember that Jonabell is a privately-owned, working thoroughbred horse farm so we schedule tours around the routines of our horses and employees.